Do You Clean Your Own Vacant Rentals? Many counties in the United States do not report evictions to credit bureaus and it takes specific searches to discover these records. This kind of search can be done by a landlord or property manager in the local counties but is time consuming and not always reliable. The reality is that often a resident will apply for a new rental home while he/she is being evicted from the current residence and there will be no record at all. We spoke with Equifax recently and found that they have just purchased a small company which is now collecting this eviction data across the country. In several years there will be a new data base with this information which will be available for credit reports but we still have to deal with what we have today, which is precious little with regard to eviction history. That being said, we still have our rules and regulations to abide by and therefore will have to enforce them for the benefit of all. So there will be the occasional eviction. The article below is a good summary from Expert Law which will help you if you find that you are needing to proceed with an eviction. Can My Landlord Evict Me without the Proper Notice? Basically no. In all states there are landlord tenant laws that dictate the length of time required for giving notice even if there is no obvious reason for doing so, from your point of view. However, if you fail to pay rent on time, your landlord can give you a 3 day notice to pay or vacate. In the few times that I have been forced to give a tenant that notice, I also gave them a 30 day notice and on the 3rd day of non payment, and eviction notice. That being said, you do not mention how you know your landlord wants to evict you. I assume you were told verbally. Notice needs to be made in writing. It can be posted on your door and mailed to your current address of record. It can also be served by a process server. If you have no notice but your landlord told you to move out, I suggest that you contact that person to discuss the problem and try to resolve it. You can also hire a lawyer but it will be quite expensive and you will probably not recover any of those costs. If you are given notice and it is not resolved, make arrangements and move out as per the notice. Will I make more money through Airbnb or renting out my property? First of all, I will establish what kind of property you own or wish to own. If you have a home or a condo or apt and you want to make money renting a room, you will need to check the rules and laws of the association if there is one. By doing this, you will learn whether you are permitted to rent part of your home. If you don’t own your home and are a tenant, you will have to get written permission from your landlord/manager. Then you need to decide how much you want to have someone else in your space. Renting a room long term can be hard. You would be sharing your home with a stranger basically. If you want to make a bit of extra money, you could offer a room through AirBNB or whatever reservation software you wish to use, several days or weeks a month. You would basically only meet these tenants and they would be gone. But you would be responsible for cleaning and laundry and making sure your place is a bit upscale to get tenants. The rent (tariff) is paid upfront to you after AirBNB takes their cut, so you will get paid. If you decide you don’t like renting your place to strangers, you can always quit. With a long term lease, you would be obligated to endure the lease period. If you are planning on renting a separate space, like a single family home, whole condo, apartment, you need to start by learning what is and is not allowed in the neighborhood. I say that because many areas have prohibited owners from offering short term rentals because of the increased traffic, parking problems and strangers coming into the neighborhood. But if you find no restrictions, remember that when you rent an investment property through AirBNB or some other short term rental software, it will become a full time job to manage move ins and move outs, cleaning and supplying the unit, keeping up on repairs, baking cookiesfor arriving guests, etc. Many sub that work out to a short term rental property management company, but that cuts into your profits, of course. And you are dependent on whether you get the place rented. If you only get 50% occupancy per month you may not be able to break even on the cost of the rental. Property management for short term rentals is usually 25% of the rent collected because it is so hands on. On the other hand, you can rent your property longer term. If you are in a resort area, you could rent for a minimum of 1 to 3 months. Or you could do minimum 6 months or 1 year leases. That business model gives you guaranteed income on which you can plan, as long as you choose good tenants who pay rent on time. And finally, if you are in a high demand area or seasonal demand area, you can rent part of the year using a short term rental registration software and the other part of the year rent to someone longer term. Just remember that the cost is high every time you turn the unit. So the decision is up to you. How much risk are you willing to take. How much time are you willing to spend. Finally, no matter what you decide, if you do invest in rental real estate, get a good software that allows you to advertise vacancies, gives a tenant screening portal, and does the accounting for you. The short term rental software products do not give you these features. I use Smart Property Systems. It is easy to use, inexpensive and has all of the bells and whistles you will need to be successful. Good Luck. Eviction notices can be daunting for all involved- both for Landlords and Tenants. While most issues are encouraged to be cured via problem-solving and clear communication, occasionally an eviction notice will be served. Both sides should know that they could ultimately end up in front of a judge. Eviction processes are highly regulated since the law protects both sides and the court makes the final decision. Instead of allowing people to take the law into their own hands, the eviction process ensures both the Tenant and Landlord are given fair treatment. Luckily, this process is quick when compared to other legal cases, as it is considered a “summary” court procedure. This means timelines for arguments are shortened to speed up the resolution or court decision. Instead of waiting months to hear the case, the Landlord and Tenant can appear before a local court soon after the Landlord files a complaint. If you work for a property management company you know the importance of maintaining good relationships with your owners and tenants. And if you are self directing your own property management you probably know that tenants and landlords often clash. But it does not have to be that way. You must stay on top of your management tasks, and let your tenants know that each one of them is important to you. Our company has provided software for property management to over 20,000 subscribers since 2005. We are recognized as one of the best property management software companies and, by the way, we have just rebuilt the software to be even easier to use thus making the communication with tenants even better. The legacy software won a webby and the New Release has already won a Best In Business for software award. With all of this experience, there are some things that we know will help you get good tenants, keep your tenants happy and retain them longer. You are entering into a business contract with each tenant. You expect them to pay rent and care for your property in return for their access and right to occupy to a quality property in which to live or work if it is a commercial property. Remember that it is a business relationship, not a friendship. From the beginning treat the tenant with respect. Once the lease is signed the tenant has agreed to pay rent on time. Be sure that he/she does just that. We recommend use of automated rent payments made through a tenant portal which contains all of the pertinent information that they need plus a way to make their rent payment in less than a minute. If they are late, do not offer to waive late fees. In the automated system, late fees are added automatically on the designated day. Waiving late fees only encourages more late payments. If you have a chronic late payer, make arrangements so that rent is due after they have received their wages or can reliably make the payment. If that means you extend the grace days a few more days then that is a better way to resolve the issue than to waive late fees. You might also have them pay two times per month instead of once.Don’t worry, if they are using automated rent payments, the accounting is done for you when that payment is made. And remember that any changes to the original agreement need to be memorialized in writing and signed by both parties. It is the responsibility of the landlord or property manager in conjunction with the owner to make the rules for tenants residing in the property. Include those rules when they sign the lease. We recommend a separate document stating policies and rules as well as vacating procedures. 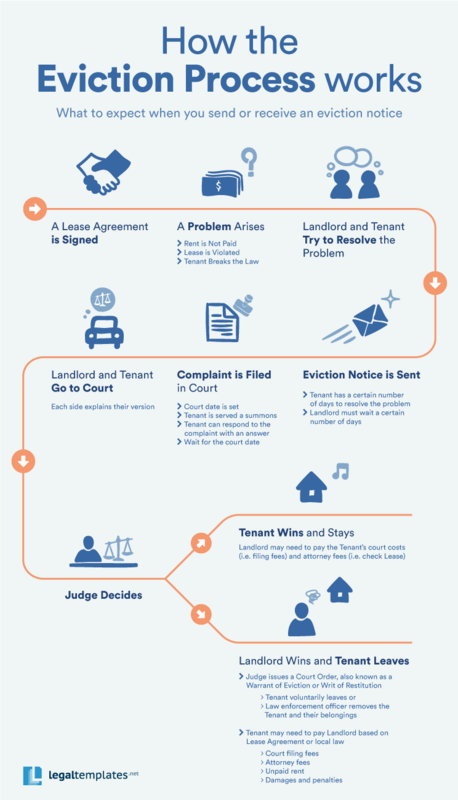 The tenant signs that document and it becomes part of the lease. Tenants need to know the rules before they move in, not when they have violated one. Tenants need to know that they are responsible for being cordial to neighbors and abide by the rules of the property. It is always best to meet the tenant in a professional environment like an office. Our SPS software offers esign for leases and notices so that an office is not required to look professional. One other thing that is very important is good communication. The SPS software has tenant portals through which the tenant can easily notify you of any issues or report maintenance items. Things happen to rental properties during normal wear and tear, and repairs need to be done to keep the property in good shape. Occasionally there is also tenant caused damage, like a child flushing toys down the toilet or someone hitting the garage door with their car. Both types of damage should be repaired by the landlord or property manager, not the tenant. The most important thing that a landlord can do is get the repair done as soon as humanly possible. The tenant can be billed for tenant caused damage or the security deposit can be used if they do not pay. We recommend billing first so that the security deposit remains in place for the future. Always follow up after the repair with the tenant to be sure that the repair was done to the satisfaction of the tenant. We recommend that you inspect the repair or at the very least have the contractor take pictures before and after the repair and send them to you. Your tenant will know that you care about their comfort and you will retain them longer. Maybe even more important is that you will be sure that your property is kept in top condition. Inspections are part of the price of doing business. Inspections done regularly will insure that there is no major damage being done to your valuable rental property. With new tenants, you may want to do an inspection or visit the property in one month to see how the tenant is faring. At the same time you can look around to see how they are caring for the property. If all is well you may schedule the next inspection visit for 3 months. If things look dicey, give notice to clean it up and come back in a week to inspect again. This may seem like over kill but we have seen some tragic situations experienced by our subscribers when they do not use the inspection software available to them. One subscriber found three families living in a two bedroom house. Only 4 people were on the lease. Another found a herd of cats, none of whom were authorized by a pet agreement. In fact the pet agreement clearly said that no pets were allowed. If these situations had not been discovered, you can only imagine the damage that would have been done to the property. Inspections are an ounce of prevention against pounds of cure. Always be cordial to your tenants. They are supporting your business and even if you may not like them personally, you need to be pleasant. Remember that your tenants are not your friends. They have a business relationship with you. That does not mean that you can’t send Holiday cards or throw parties for the multifamily community once in awhile. But in the process of running your rental business, be firm and fair, attentive and respectful. Smart Property Systems gives our subscribers the tools to be able to develop good relationships with tenants, members of associations, and owners of residential and commercial properties. That is accomplished with automation of most repetitive tasks and by allowing all stakeholders in the business to easily communicate through the portals. If you are not using software or are unhappy with your current software check out https://smartpropertysystems.com. Do Your Tenants Need to Know How to Budget? I listened to a web cast today on how to fill vacancies with residents who will pay rent. I was surprised to hear that the incidence of failure to pay rent is going up. The fact, according to this presenter, is that rents are rising and incomes are staying the same. That means that more of a family’s budget has to be put toward the rent. There are several safeguards that can be used by the property manager when renting to someone with little or poor credit history. But the one least used, that comes to mind for me, is giving the tenant a bit of good old fashioned education about how to budget. Young people, especially students, are sometimes on their own for the first time. Budgeting may be taught in business classes but I have not heard of it being taught in school as a general rule. Another category of high risk families is single mothers with no child support. However, poor rent payers are not just limited to these groups. They come from all income levels and backgrounds. But everyone needs a place to live. Everyone needs shelter and to be able to feel safe and secure in their home. Furthermore, it is against the law to discriminate when considering an applicant unless that applicant obviously does not earn enough money to pay the rent. So there are going to be times when you will rent to a high risk tenant. Of course you always use tenant screening, and check pay stubs, and speak with employers, and past landlords before deciding to rent. Those are tried and trusted ways to get good tenants. But we have all had to get after our tenants at one time or the other for failure to pay on time. The next suggestion I have is that these high risk tenants should get the budget your money talk. “The rent” is the most important payment a resident makes each month. Oh they may argue that they need a car more than a place to live, but with that mentality, they could end up living in their car. Ideally rent makes up 25% of the monthly budget. But recently it has creeped up to an average of 33% of the monthly budget. That leaves car payments, insurance, utilities, food and clothing and finally entertainment to be budgeted (planned). Hopefully they are not into using credit cards when they run out of their own money or the situation could escalate from good to bad very fast. If at risk tenants turn this sequence around, you will see many failures to pay rent. Unfortunately we see the reverse sequence all too frequently. (i.e. entertainment, clothing, food, utilities, car payments,insurance, rent) At least if you have the talk, you will put them on alert. Hopefully they will realize that budgets are a great way to keep everyone happy and give them the feeling of control over their lives. I have been in property management for many years managing my own investment properties, before I bought a software company that provides software for property management. In both capacities I have heard all kinds of excuses and reasons for late rent payments. You all have heard them. “I mailed the check. Didn’t you get it? It must be lost in the mail”. Then there is the issue of paying on time. When you don’t get paid on time, your own budget and finances suffer. It costs the property manager money every time a rent is late. Of course we have found that through use of online automated rent payments, the excuses go away. There is no more excuse for late rent because it takes the guess work out of where the rent is and all of the arguments listed above, except the vacation situation, are no longer valid. But that is a topic for another blog. I think it is a great idea for the property manager to talk with any young tenant, first time tenant or person with poor credit about “the importance of paying rent on time, every time it is due” before handing over the keys. Sometimes they need to hear that rent should be the first bill they pay before they spend money on anything else. The other question to ask your new tenant is on what day they get paid. A solution to late rent payments may be as simple as setting the date rent is due to a couple of days after the person gets paid, or at least make the grace period long enough to accommodate that tenant. In some cases, it may be a good idea to add language to a lease document stating that the conversation about how to budget for the rent payment was done. It may also be a good idea to offer a booklet about budgeting with a sample budget to demonstrate how easy it actually is. I realize that this kind of approach will not solve all of the problems with poor rent payers but it may bring your percentage of on time rent payments up a few percentage points. August 28, 2015 7:12am Comments: Smart Property Systems, a leading cloud application software for property management, is pleased to announce a vendor agreement with TransUnion. Smart Property Systems announced today a new integration with TransUnion SmartMove®, to offer tenant screening solutions. Using TransUnion SmartMove, Smart Property Systems users can order a credit report, which is formatted for tenant screening purposes, and a criminal report, drawing from millions of national and state records. These tenant screening reports include a recommendation based on the Smart Property Systems subscribers’ rental criteria. Smart Property Systems subscribers are able to order reports from their subscription dashboard menu to screen tenants on easy to use order requests. Reports are returned into a system that collects and stores the reports for viewing as needed. Smart Property Systems subscribers can get complete reports from TransUnion SmartMove by clicking on the order button in the subscriber account and filling out the information from the tenant application. Prospective tenants are contacted via email to authorize the report. Once the prospective tenant authorizes the report, property managers and landlords can review their TransUnion SmartMove report within minutes. As soon as the tenant complies and authorizes the report, it is sent back to the report file at Smart Property Systems. For a demonstration of this functionality, contact Smart Property Systems or visit smartpropertysystems.com. Smart Property Systems has offered best in class software for property management since 2004. Over 20,000 subscribers have been served since the Company opened for business. In May 2015 the new build of the code was released and all active subscribers from the legacy software were moved to the new platform which is built on the latest Ruby on Rails with HTML 5 technology. This software offers stability and security to the users, and automates the repetitive tasks required when managing properties and leases, whether residential or commercial. Customer reaction to this new software has been very positive. Smart Property Systems software supports the complete rental cycle with features that make property management easier. Are You Afraid of Change??? Have you ever thought about how change affects your life? How many of us embrace the idea of change? How many dread it? I am not talking about change that comes when you get dressed. I am not even talking about a change of scenery. Those kinds of change can be easy to take, unless the view is from behind bars and walls. Changing a diet can be very hard. Changing where you live can be stress inducing. Changing a job may be difficult for some. Changing the way you do your job may be even harder to accept. Matathesiophobia= The fear of change. Have you ever started something brand new and realized that you don’t have a clue about what you are doing? Have you ever gotten physically dizzy or distracted from the task because you are having a hard time? It can be like that for new owners or managers of investment properties. Even seasoned managers can get into overwhelm at times when the work load piles up. Many are literally overwhelmed by the prospect of having to advertise for tenants, do tenant screening and write leases. But before we fall over the cliff in overwhelm, there is a better way. Using a quality software which is designed to be easy to use, where the work flows don’t let anyone make a mistake, is the real answer. Now that kind of change does not seem so hard. The subscriber/new landlord or manager can have a path to follow with success at the end of the road. When using the Smart Property Systems software, the steps for each task are lined out and the tools are right there on the dashboard for the investor/manager to use. You have never used software before? Is that a hard change to overcome? Not really. Change can be easy to deal with, when there is a change of mind and good attitude. Relaxing into the new software environment can actually be exciting as the user discovers that everything is automated and all work is saved by the software. Just think. This change results in having all documents and tools at your fingertips. Simple organization at last! Smart Property Systems offers property management software and it is designed to make the business of property management much easier for anyone doing that job. But hardly a day goes by that someone in the customer service department hears a complaint from a subscriber or maybe a free trial users saying that it is hard for them to change. After talking about it for a few minutes they realize that their real reason is fear of change. Once that fear is overcome, the whole prospect of having answers to all questions and problems that come up in property management which are at their fingertips, makes the new world of software becomes glittery and golden. Smart Property systems has been doing business in the Property Management Software sector since 2004 and served over 20,000 subscribers. This company knows property management and understands the problems that repetitive tasks cause for the staff. Repetition can cause boredom and bored people make mistakes. The motivation and dream of the staff at Smart Property Systems is to provide automation for those repetitive tasks and make the business of renting well managed properties to deserving tenants easier and more profitable. Software does not make mistakes. That is change we can believe in. But what about the change that comes in having to pay for software? There again, just how valuable is your time? When you get your properties and tenants into your subscription account and automate the rent collection, can you imagine how much time you will save every month? Why that could be a full time assistant salary saved. If you have no assistant, using SPS software will cut your time by two thirds. Remember, now all communications with tenants and vendors go through the message centers in each account portal, instead of having phone calls all hours of the day and night. Now notices are sent though the software via email and stored in all appropriate accounts. Some, like statements and late fee notices are automated, so there is really nothing you have to do. Rent week comes and goes and all statements are sent out, rents collected and accounting for those payments done by the software for you! You can look at the rent roll and see who has and has not paid. So now, what will you do with all that extra time on your hands? Maybe play some golf or tennis or go fishing? How about spending more time with the family? The next generation of renters is a tech savvy group who will use technology at its best to find their first or next perfect place to rent. That means that they will use tablets and cell phones to search for available listings, not print media and newspapers. They will also want to be able to conduct the business of renting via their phones or computers. That means that rental housekeeping and tasks should be automated and able to be done over the internet. Messaging and notifications including signing of leases and paying rents and deposits and other charges will be done via the internet as well. First consider how the Millennial Generation will search for places to live. They will use their cell phone or tablet, most likely. Some will use a computer at work or home to search. Rarely do your prospective tenants just walk up and rent a unit. So when a vacancy is advertised, it needs to have all of the relevant data present for the viewer’s information. The other most needed option is to have pictures and videos available for them to peruse at their convenience. We suggest that our Smart Property Systems (SPS) subscribers give viewers enough pictorial evidence and data about each room that the prospective tenant can practically decide to rent by seeing the webflyer. What is a webflyer? It is a template that our subscribers have to set up their internet advertising. That template allows the user to write a detailed description of the property, explain a bit about the neighborhood and amenities close by, the specifics about the rental unit, rent, date available, security deposit and more.
. SPS recommends that you take a video of the property and post it to YouTube then connect that URL to the webflyer so that the prospective tenant can get a better idea of the flow of the property. Many of our subscribers have told us that the cost of a subscription is cheap compared to the cost of advertising the old fashioned way. A subscription has all management tools needed to take professional care of your rental properties and includes the cost of advertising vacancies and for sale properties. It is a much better option than using print media and newspapers which do not accept pictures and you are required to shorten descriptions to keep the cost down. Of course offering a terrific property which is kept in top shape is your best bet at getting vacancies turned quickly. Being able to offer online rent collection and a way to pay a security deposit on line will be the future for fast turn-overs. Smart Property Systems has a built in library which allows the user to attach esign to documents and send leases via email for signatures. This is also a huge time saver for those busy prospective tenants who want the convenience that technology offers. Technology is a must in the present and future world of communicating with the Next Generation of renters. Check out our Smart Property Systems software to see that it provides that technology which you need to meet the needs of your investment rental business future. If you follow our blogs (Problem Rental Solutions and Real Estate Asset Links) you have read how important we believe tenant screening is. So this article will tell you what you need to know about reading the Tenant Screening Report. You cannot request a credit report directly from a Credit Bureau. You must use a portal to request a screening that the tenant approves and fills out before that report before it is sent to you. Tenant Screening is built into the Smart Property Systems platform for your convenience. You order the report which generates an email to the prospective tenant and they log in and fill out the data. Once you get that report back, it is important to be able to understand what you are seeing. First check the tenant’s credit Score. Some reports give a FICO score and some give a Vantage score. The Fico score is that score given by the credit bureau which provided the report. A Vantage score is a combination of all three FICO scores from the three main credit bureaus that serve the US. Scores range from 300 (poor) to 850 (best). Generally any score above 650 shows reasonable risk and indicates that the tenant will make regular rent payments. Scores below that level will put you on notice that you need to get more security deposit and or first and last month’s rent. The report should be checked for a history of bankruptcy. The report will also show payment history for any credit accounts where regular payments are expected. Check for payments to credit cards or revolving credit accounts with merchants. If they are showing green or on time that shows that the applciant pays their obligations regularly. That will give you an idea of how this prospective tenant views payment obligations such as rent. Personal injury claims and civil lawsuits are reported on some types of reports. If the prospective tenant is local to your area, you can also check that history at your county courthouse. While you are at it, do verify employment and the amount of pay claimed on the application. If there is a previous landlord, call and check the tenant history. Ask specific questions to be sure that you are not calling a friend of the prospective tenant and not the real landlord. Previous landlords can be your best source of information when deciding to turn over your valuable property. Eviction data is currently not very reliable. Even if the report says that no evictions have happened, it may not reflect the unknown data. If the tenant was served with papers and moved before the eviction date, this information is not reported by the courts because the case was never heard. Many jurisdictions do not report eviction data to the general public. Credit and data bureaus are working hard to change this data void but it may take years to get a reliable eviction report. You can check for evictions in the county in which you own property however in court records. Your Application Fee should help you cover the cost of the tenant screening. Typical Application Fees normally range from $30 to $70 and are payable when the application is submitted. In California there is a new law requiring you to show the tenant your charge for tenant screening. (read this law). This fee is to cover the cost of your time and screening and risk management for your properties. If you decide not to rent to a person because of low credit scores or information you have received when doing your due diligence, you are required by law to provide that person with the name and address of the credit bureau or agency that reported the negative information and or the reason for denial. You must also inform this person that he has a right to obtain a copy of the credit report from that agency by contacting that agency within 60 days of being told that the application was rejected based on the individual’s credit report. (see article) Those forms are built into the library at Smart Property Systems and can be embedded with esign for your protection. Tenant Screening well done can help you create a quality tenant mix for your properties. You will have tenants who pay rent on time, care for the property and get along with neighbors. It is a necessary part of the tenanting process.